Similar to other commercial Web sites, our Web site utilizes a standard technology called “cookies” (see explanation below, “What Are Cookies?”) and Web server logs to collect information about how our Web site is used. Information gathered through cookies and Web server logs may include the date and time of visits, the pages viewed, your IP address, time spent at our Web site, and the Web sites visited just before and just after our Web site. New Games Ltd. will not obtain personally-identifying information about you when you visit our site, unless you choose to provide such information to us, nor will such information be sold or otherwise transferred to unaffiliated third parties without the approval of the user at the time of collection. 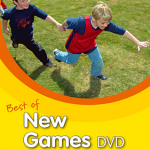 New Games Ltd. may use software programs to create summary statistics, which are used for such purposes as assessing the number of visitors to the different sections of our site, what information is of most and least interest, determining technical design specifications, and identifying system performance or problem areas. For site security purposes and to ensure that this service remains available to all users, New Games Ltd. uses software programs to monitor network traffic to identify unauthorized attempts to upload or change information, or otherwise cause damage. New Games Ltd. are committed to keeping your e-mail address confidential. We do not sell, rent, or lease our subscription lists to third parties, and we will not provide your personal information to any third party individual, government agency, or company at any time unless you have specifically request permissions from you in advance, or we are compelled to do so by law. 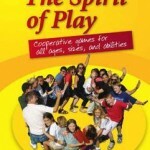 We will use your e-mail address solely to provide timely information about Cooperative Play and our associated work. Users who no longer wish to receive our newsletter or promotional materials may opt-out of receiving these communications by clicking on the unsubscribe link in the e-mail or e-mail us at dale@inewgames.com. I learned how to be a leader of fun. There can be nothing more satisfying to enjoy myself and entertain others.